The Egyptian cabinet approved on Wednesday a draft law increasing pensions and minimum wages for state employees and announced by President Abdel-Fattah El-Sisi earlier this week, a statement by the cabinet said. The bill stipulates that pensions of state employees would be increased by 15 percent, with a minimum raise of EGP 150 (approx. $8.6). The bill also sets a minimum monthly pension of EGP 900 (approx. $52), including all increases and allowances. 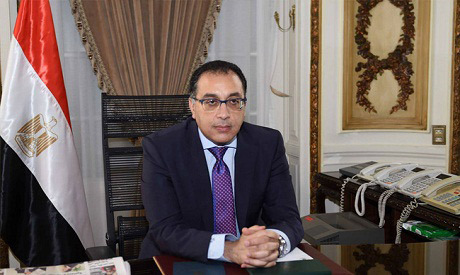 The new increases, which Prime Minister Mostafa Mabouly has said are meant to improve living conditions of low-income people, will cost the state coffers EGP 60 billion. The draft law has set a minimum regular bonus of EGP 75 (approx. $4.3) for state employees governed by the civil service law. These include employees working at ministries and government authorities, local administration bodies and public authorities. The bill sets a minimum increase of 10 percent of the basic salary for those not governed by the civil service law, including employees at state authorities with internal bylaws, state TV and radio, the judiciary, diplomats, staff members, physicians and teachers. The legislation also stipulates that employees who get promoted are entitled to a promotion bonus worth 5 percent of their basic salaries. The bill has to be approved by parliament and ratified by the president before it goes into effects.